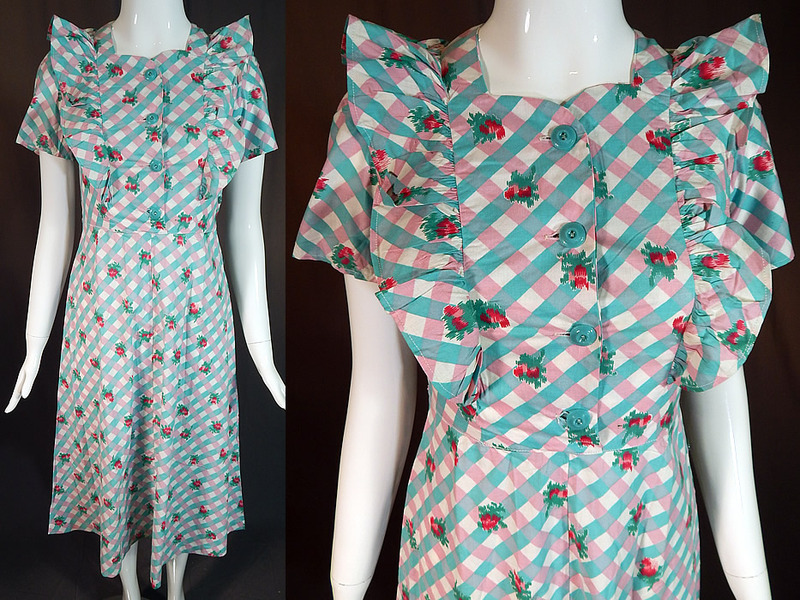 This vintage pink blue flower checked gingham cotton print frock house dress dates from the 1930s. 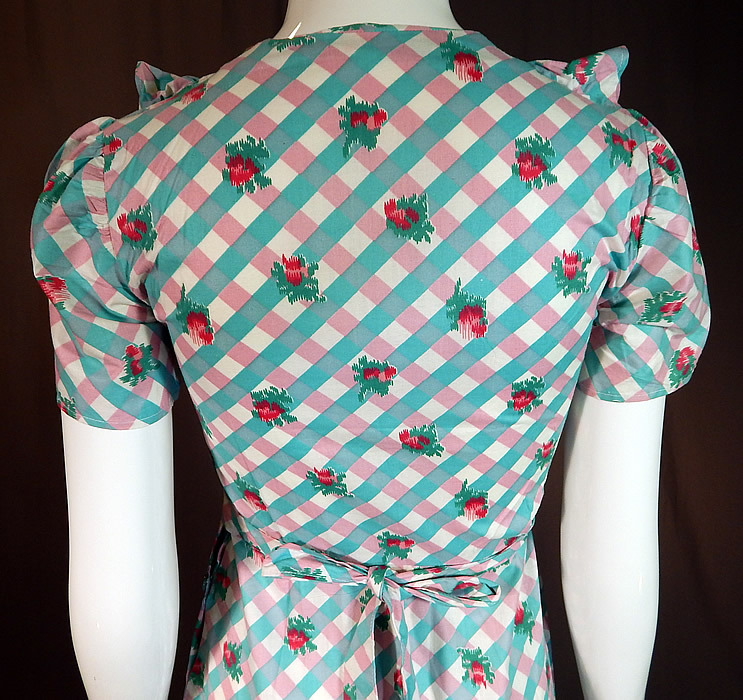 It is made of a pastel pink and blue latticework plaid checked gingham cotton floral print fabric. 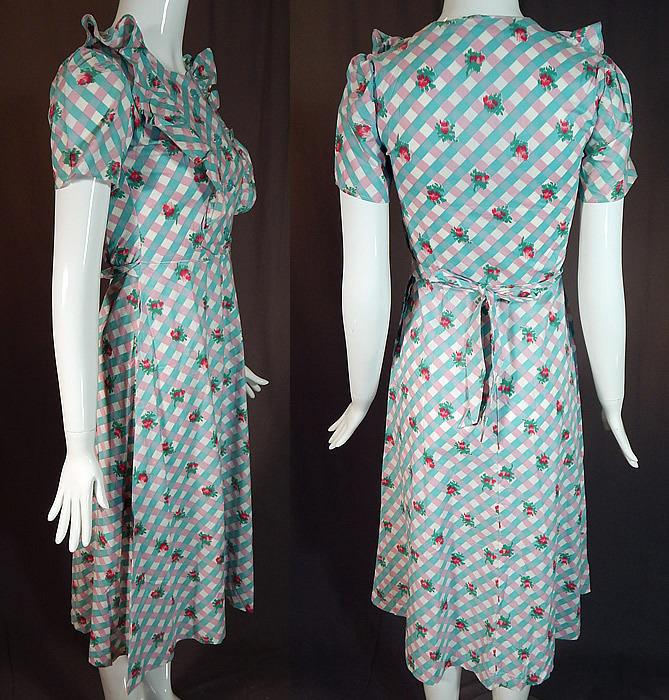 This women's workwear frock house dress has a ruffle flounce trim on the front top, short sleeves, a belted back tie sash, matching blue plastic button closures on the front top, side opening and is unlined. The dress measures 44 inches long, with a 32 inch bust, 26 inch waist, 40 inch hips and a 13 inch back. It is in excellent condition. 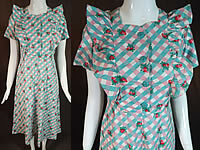 This is truly a wonderful piece of print wearable art!